It takes you back to love. In an attempt to avoid just losing all my frequent flyer miles when the expired last month, we traded them in for subscriptions to about 20 magazines. I indulged in all sorts of magazines that I have never read before, magazines of people who do exotic things all the time, or run marathons. Because the first step in being super sporty or cosmopolitan is obviously reading magazines that appeal to those sorts of people. I was reading Afar and in between articles toting the best places to eat in Spain and reasons to go to Australia (um… duh, it’s Australia — reason enough), I came across an article about perfume making in southern France. Rather than just being about convincing me to go to southern France (not hard to do) it was about the power of smell, and how the author was trying to track down the smell of the woman he loved. I read that passage to James and he referenced it back to Proust and the madeleine (yep, that’s why I love him), but it made me think about my own perfume. I started wearing the same perfume in college and never change it up. I wore it on our wedding day, one year ago next Monday, and I like knowing that I carry that day around in the scent that I put on every morning. What about you all — do you have a set scent that you wear all the time, or do you mix it up for different occasions? This entry was posted in Uncategorized and tagged love, quotations, words. Bookmark the permalink. 8 Responses to It takes you back to love. The scent of my grandmother’s perfume is the only thing I have left of hers. I keep an entire bottle of it at home, just in case I miss and want to remember. Is this the grandmother whose dress you wore for your wedding? That is so beautiful. I have one perfume I wear for special occasions- my mom bought it for me for my 18th birthday I think. I remember thinking $50 was an outrageous amount to spend on the little bottle, but I love it and wear it on my birthday and fancy occasions. My boyfriend recognizes it and loves it! I love that you got it then and still use it! What a great connection between past and present! I always buy a different scent for each chapter of my life so I can remember it better. This is especially true when I go on trips (I travel a lot), move to a different house, start a new school year, stuff like that. And it’s not that I’ve tired of any certain scent, I purposefully go shopping for my “next chapter’s scent”. Sometimes it happens on accident. But not often. 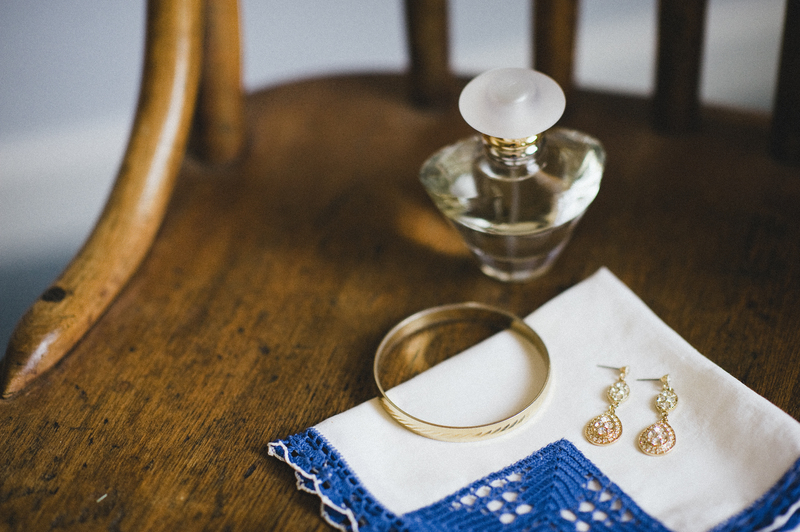 I have the sent that I love which I wear every other day….the scent my husband loves, which I wear on the days in-between….and then a few softer, or sweeter, or sultrier scents that I wear when I need a change or for a special occasion. My scent that I love is Sung by Alfred Sung. My husband loves White Diamonds by Elizabeth Taylor.